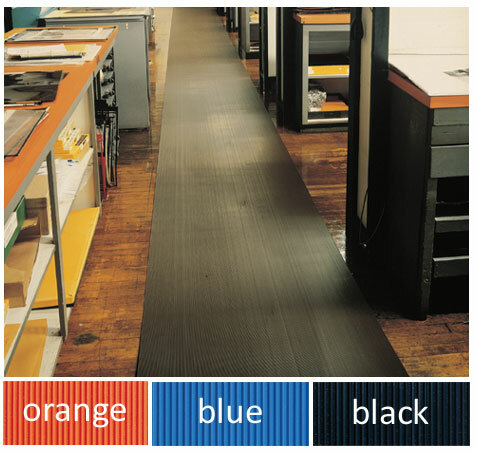 Unlike most vinyl runner mats, our Colored Corrugated Runner 3/16″ Thick comes in a vibrant Blue or Orange color for high visibility. 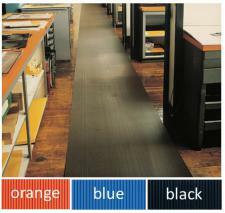 This mat provides traction for safety as well as protects your floors. The 3/16″ thick corrugated runner is thicker and more durable for heavy use applications than the 1/8″ model/ Excellent floor protection mat with a low profile for easy cart access. Heavy duty vinyl is resitant to most common chemicals. This model has a blue and orange version in the 3′ wide option only.